WASHINGTON (Reuters) - The U.S. Supreme Court exposed its bitter divisions over the death penalty yet again early Friday as the justices voted on ideological lines to reject an Alabama inmate's bid to delay his execution. 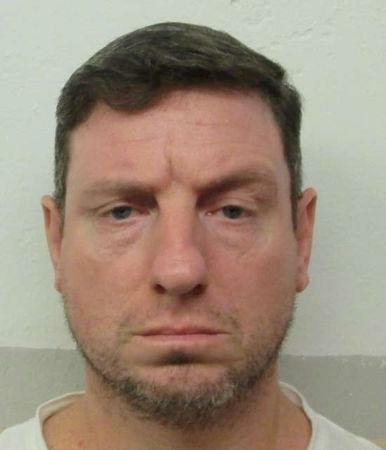 On a 5-4 vote with the court's conservatives in the majority, the court reversed two lower court decisions that delayed the execution of Christopher Price, 46, for 60 days so he could proceed with his request to be executed by lethal gas instead of lethal injection. It was the third time in recent weeks the court has divided 5-4 on a death penalty case, with the conservatives in the majority each time. The court's order was released too late for the execution to take place, so Alabama will have to set a new execution date. State officials did not immediately respond to questions about their plans on Friday. The court said in its order that Price had waited too long to pursue his claim. Justice Stephen Breyer, one of the liberal justices, called the litigation an example of arbitrary administration of the death penalty. He wrote that Price's claim failed because of a "minor oversight" by his lawyer when filing evidence to support his argument. He also noted that the justices were due to meet Friday morning and could have discussed the issue then instead of acting in the middle of the night. The three other liberal justices on the nine-justice court joined Breyer's opinion. Price was convicted and sentenced to death in 1993 for killing William Lynn, a minister, in his home in Bazemore, Alabama, on Dec. 22, 1991 as he assembled Christmas presents with his wife. On Thursday, Chief U.S. District Judge Kristi DuBose granted Price's attorneys the 60-day stay and gave the state until May 10 to respond to their arguments that the three-drug protocol risked causing Price significant pain and that nitrogen hypoxia would reduce that risk. Earlier this month, the U.S. Supreme Court ruled 5-4 that the Constitution did not guarantee a condemned prisoner "a painless death," paving the way for the execution of convicted murderer Russell Bucklew, who sought to die by lethal gas rather than lethal injection because of a rare medical condition. In that majority opinion, conservative Justice Neil Gorsuch took aim at the tactics of death penalty defense lawyers who frequently file last-minute applications to delay executions. The court in February voted 5-4 to allow the execution of a Muslim convicted murderer after Alabama denied his request to have an imam present, saying he waited too long to file his lawsuit. In March, however, the court blocked the execution of a convicted murderer whose request to have his Buddhist spiritual adviser present at the execution was denied by Texas..
Six executions in the United States scheduled during the first three months of 2019 have been stayed or rescheduled.